ysabetwordsmith | Poem: "The Gentlest, Loveliest Festival"
Poem: "The Gentlest, Loveliest Festival"
This poem was written outside the regular prompt calls, in discussion with dialecticdreamer. It also fills the "furnishing the home" square in my 3-16-15 card for the genprompt_bingo fest. It has been sponsored by Anthony & Shirley Barrette. This poem belongs to the series Frankenstein's Family. Warning: As holidays are sensitive for some readers, you may want to check the detailed warnings, some of which are spoilers. This poem includes a quasi-surprise Christmas party, people feeling overwhelmed in crowds, parents not knowing how to handle a gifted introvert, and other minor tensions. But mostly it's domestic fluff. Consider your tastes and headspace before reading onward. they found the area crowded with wagons. behind the chestnut in hot pursuit. from a Christmas ham and a few side dishes. of all this unexpected activity. the bay mare loose in the corral. "Ah, you're home at last,"
"Did you bring the extra food?" brought some extra food, my lord," he said. and the vegetable hodgepodge is from Gyuri. even remember all the rest." twinkled and gleamed in the golden light. as people noticed Victor and Reznik. and pointed him back toward the door. pitched in to get one big gift for your family." led them outside and flourished a hand. "Here you go, and merry Christmas!" wide stripes of yellow and cream. "Those actually are the curtains,"
and some good felt pads to go between." along the glossy walnut curves. "What on Earth is all this?" Igor said. and ... some kind of furniture?" "It's a bed," Dorottya said gently. 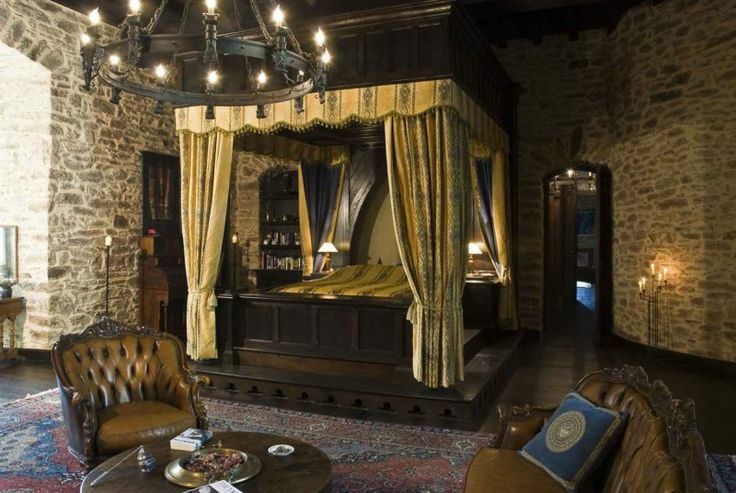 made you a lordly bed." "I did the woodwork," Lóránt said. "Imre made all the hardware. feathers and fabric for the bedding." "You must have worked on this for months,"
rubbing the back of his neck. a design overlain in darker brown. "However will we get everything indoors?" to the bedroom for assembly. it took a while to fit the pieces together. then finally the sheets and comforter. privacy and holding in body heat. trefoil holes in the platform. Dorottya helped him revive Igor. Victor claimed a place by the hearth. and watch the children playing. with several of the other toddlers. from different colors of felt. hand-me-downs should go to whom. outgrown," Igor said as he left. Victor and Igor had not used it before. anywhere. Could you help me look for her? She may have wandered somewhere she shouldn't." but then hesitated, looking at Adam. "Go, Victor, I'll watch the little ones,"
Dorottya said with a wave of her hand. all day, so Crina must be somewhere out of sight. of strangely shaped glass, would be an attraction. she would not be found quickly. with a round wool rug in the center. spread over her skinny knees. "What's myrtle?" she asked without looking up. automatic answer. "Never mind that for now. Your parents are looking for you. They're worried." so nice and quiet in here, I wish I didn't have to go ..."
in the rules that your parents have made for you. Did you tell them where you were going?" to stir the springy brown curls. your mother. You should follow after a few minutes. I believe you owe her an apology for disappearing." Évike, drawing her aside for a private conversation. her unexplained absence upset you." "That girl," Évike said, throwing her hands up. "I am sorry that she is such a bother, my lord." "She is no bother. I quite enjoy her company,"
with sugared fruit and candy on every table?" "Books are books," Évike said blankly. Culpeper’s English Family Physician," he said. 'myrtle' and asked me what it was -- it's a shrub." and German and others all flung together. words would be in the local dialects. Adam's collection on the bottom shelf. "What are we to do then?" Évike said. she won't behave, nothing works." to force her into a mold that does not fit,"
others too much in the process." as she looked for her parents. before directing her to her mother. "Sorry for running away," Crina mumbled. do that again," she scolded. "Because ...?" Victor prompted softly. scared us that you might have gotten lost,"
hide like that, people will think you don't like them." don't like them all jammed together. I only wanted to find a little space." meet a friend who likes the same things,"
making mulled apple cider for everyone." "What does mulled mean?" Crina asked. "It has spices in it," Victor said. trying to watch from a distance. with a gentle nudge at her back. discussed whatever flavors had gone into it. used for mulling cider or wine," Victor said. "We can't often afford such luxuries," said Évike. cheap to dear," said Victor as he watched them. holding cups while Dénes ladled out the cider. "How did you get her to do that?" Évike asked. "Stay in the room without arguing or sulking?" that would hold her interest," Victor said. that we have never even used." "Oh, my mother used to talk of that,"
Évike said, her voice brightening. but there's not enough space for much aging." and label the batches by the date." Victor's mouth watered at the thought. a hard, sharp cheese aged to complex flavor. which would make Crina happy. "Why are you bothering with all this?" Évike asked. I wish anyone had afforded me as a child," said Victor. after I grew old enough to choose my own entertainment. as I pleased, instead of feeling trapped by the boisterous crowd." "Should we not have intruded on your holiday, then?" to like the tree ... we thought it would be fine ..."
the gentlest, loveliest festival I have ever seen." climbing," he told his son. "That is a tree for looking." of colorful fabric that held sweets. without asking permission," said Victor. made from chopped sugared nuts. 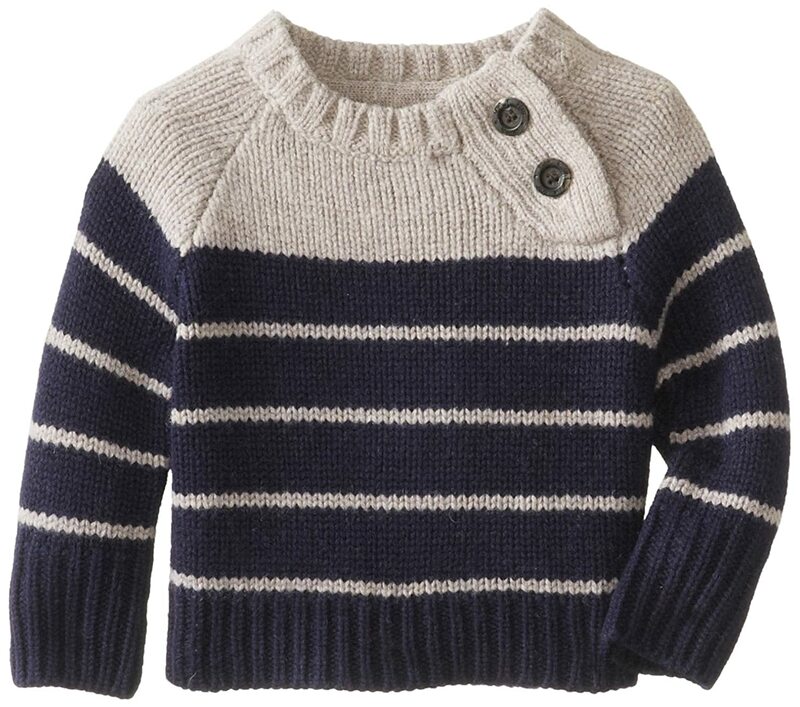 "Sorin has outgrown the coveted sweater,"
with two shiny steel buttons at the shoulder. "Everyone agrees it should go to Adam." so that Igor had to cuff them up a bit. "He will grow into it," Victor said. kissing the top of his head. "Christmas is the gentlest, loveliest festival of the revolving year — and yet, for all that, when it speaks, its voice has strong authority." The Westphalian Horse is a German warmblood, popular for pleasure riding and dressage. It is sturdy enough to withstand rigorous conditions, but considerably faster than the light draft breeds, an excellent choice of ambulance mount for a village midwife. Horse toys include a wide variety of amusements. Traditionally, farmers would make them from hay or other edibles, most often for festive occasions. Providing proper toys will help discourage the tendency of horses to misappropriate other things to play with. Christmas celebrations have long included a feast and the exchange of gifts. There are tips for surviving Christmas parties and hosting a good one. Know how to have a happy holiday season. Romanian Christmas traditions include slaughtering a pig. There are other special foods too. Ghiveci de legume is a vegetable hodgepodge. Balmoș is cheese polenta. Baked pastries include cake with quartered apples, walnut panettone, and sweet rolls. Cașcaval is a cheese which may be fried. Here is the master bedroom complete with new bed. The history of mattresses includes straw and feather ticks. The villagers have simply used extant technology, boosted a bit by their new scientific knowledge, to compile a particularly comfortable bed. Toys for 18-month-olds include chimes and felt animals. 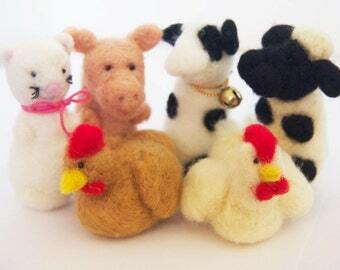 There are tips on needle felting. Culpeper’s English Family Physician, Volume I, dated 1792, is a historic guidebook. Myrtle appears on page 25 and has a variety of uses. Mulling spices are chief among the winter spices, which tend to have warming qualities. Enjoy a recipe for mulled apple cider. The castle has a capacious cheese room, although at this point it needs some work to be usable after years of neglect. You can read more about that cleanup in "Borrowed Thyme." Wine and cheese go well together. Here are some good combinations. Here is Adam's sweater handed down from Sorin. :D It is a very fine bed, and they need something bigger than two small ones shoved together. Victor has a lot of experience in adapting to social expectations, some training in leadership and more recent practical experience with it, so that helps. <3 YES, adults helping children find good interests, and YES, she is FAR more valuable to society as an herbalist and doctor instead of a wife! I'm glad you enjoyed this. It's no use trying to make someone into something they're not. You have to figure out how their mind works and what their talents are, then discover how to make that fit with the family and the wider culture. This is faster and easier with help. At this stage, Crina is still trying to science all the things. She's seen how wide a range Victor and Igor can do. Right now it's all exciting. Over time, she'll explore different areas and learn which one(s) she prefers. Any of them would be more satisfying and productive for her than farmwife, where she is totally unsuited. That's an impressive bed. I particularly like the steps -- the problem with the thick mattresses that have become popular recently is that mobility-impaired people like my wife have trouble getting into them. Crina has a bright future ahead of her. :D I'm glad I found one that fits them. It depends on the nature of impairment. Some people have trouble with a high bed, others with a low bed. It needs to be a comfortable height for the user(s). True. Sometimes both. My wife's legs don't work well; she can manage with a bed that's the right height for sitting on. It helps to have a bed of adjustable height so that one can experiment with what works and set it there. In other situations, steps help. The original reason for putting a bed on a platform like that was to discourage vermin. Heh. That's why we have a pair of hospital beds in our master suite. The place where I really want steps is hotels. We're going to have to start bringing our own. Aw, sweet! And I love that Victor is looking out for Crina while including her parents in his plans. :D I'm glad you liked that. He is trying to find ways of meeting everyone's needs, so that Crina's parents can keep track of her without stifling her, and she can learn more without getting on their last nerve. My work has been described as "flypaper for eyeballs." This whole scene has more depth *because* Victor is FtM - he may have had Crina's EXACT experiences. Very similar, with the differences based on social class. Victor's parents wanted to raise a good Society wife. 0_o They were not pleased by either his true gender or his scholarly bent. So he left them. I'm so glad to see how Victor encouraged Crina (though I would expect nothing less from him). And lovely to see the gift from the villagers - thoughtful and generous, together. Yeah, it's a little touchy trying to figure out how to do that when Crina is having a hard time with her parents, but Victor is clever, and he's determined to give her the kind of support that he didn't get growing up. :D They're not always good with words, and heck, neither are Victor and Igor. There are certain social divisions that require delicate maneuvering to get past. But there are loopholes like holiday gifts, and the villagers have become very fond of their lordfamily. One of the nice things to see is the redevelopment of the local economy as the circuit between castle and village comes online. It had been dormant for years. But with Victor and Igor in residence, they put more wealth into the flow, and they're also activating a lot of the other resources -- the game reserves, the castle gardens, the cheese room, etc. -- which benefit the villagers as well as their own household. People use the extra materials to make more and better things, and the nice stuff flows up to the castle, and money or advanced services back down.